San choy bau (生菜包) is a very popular Chinese dish that you must be very familiar with it. I tweaked and managed to make this version with surprisingly wonderful results. 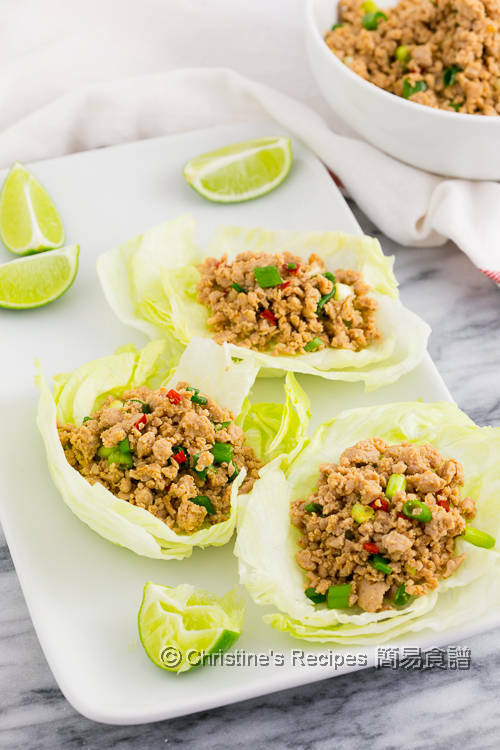 I used to cook pork mince to make san choy bau. Luckily I spotted a big sale on turkey mince at a nearby supermarket. The meat is so fresh and lean. I didn’t need to add anything to tenderize the meat at all. After stir-frying, the meat was so tender as expected, not tough at all. Best of all, turkey meat is lean and contains high protein content, really healthy. Mix turkey mince with marinade. Cut and trim the iceberg lettuce into cups. Rinse and pat dry. Set aside. Heat oil in a wok or pan over medium heat. Saute garlic. Add turkey mince. 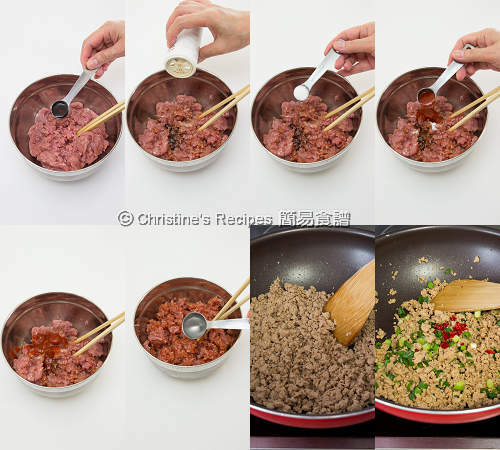 Use a spatula to break up the mince along the way of stir frying, until turns brown. Stir in spring onion and red chilli. Drizzle sesame oil. Dish up in a large bowl. 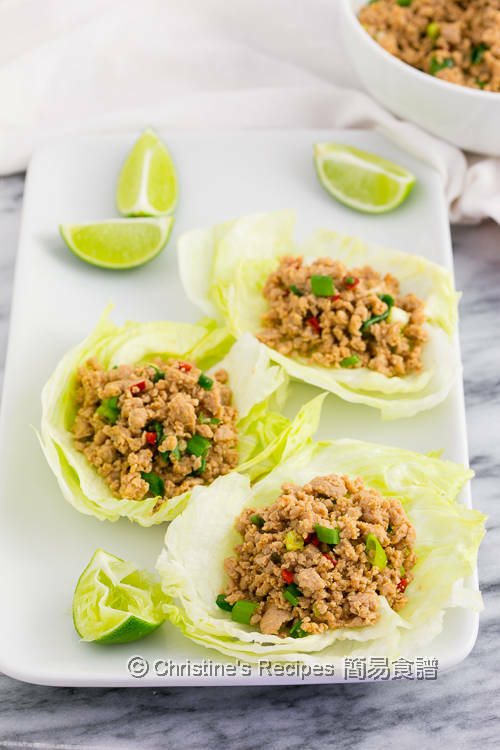 Spoon about two to three large spoons of cooked turkey mince into the lettuce cups. Drizzle lime juice. Enjoy! You can use chicken, pork or beef mince instead. Sriracha sauce tastes tangy and sweet, available at Asian groceries or supermarkets. You might like to adjust the amount of it to your liking. A perfect low carbs dinner! Absolutely low carbs. Yummy too. Can we omit the fish sauce? I don't have any at home and it is not something that we frequently use. If you don't have any, just skip it or replace with soy sauce. If I don't have siracha sauce. What can I substitute with. Thanks. The siracha sauce will add a hint of spicy and sweet taste. If you don't have any around, just skip it. You'll miss the fantastic taste though.